Inspired by France, but proudly local, Coupette brings the very best drinks and food in an upbeat and relaxed environment. 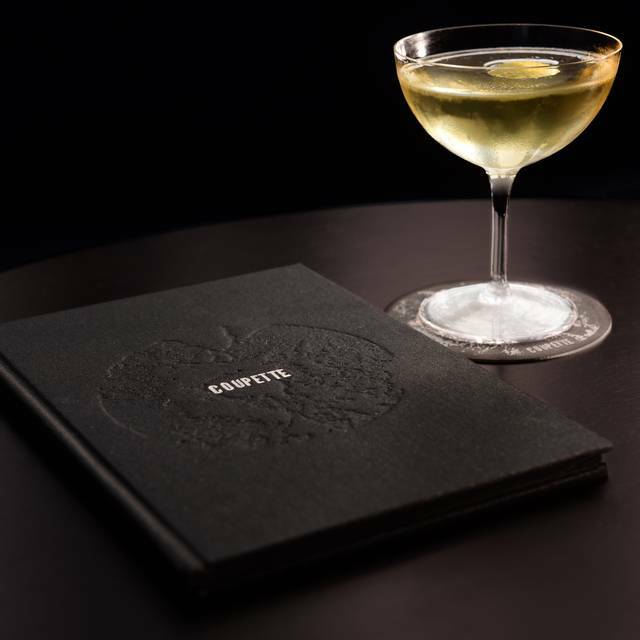 An eclectic menu inspired by French avant-garde cultural icons from the worlds of art, music, photography and dance have been painstakingly developed to showcase the flavours of specialist spirits, including Calvados and Armagnac, presented with a no-nonsense air of simplicity. Try the Champagne Pina Colada - delicious! Fabulous cocktails, friendly service and a great atmosphere. Go go go! Great cocktails, friendly and attentive service. We didn’t eat (not sure if that’s an option). Have appropriate information about the opening hours. Took the booking for Saturday evening, but when arrived it was closed! We made reservations via OpenTable for a special occasion, only to travel and arrive to find a small note in the window stating Coupette was closed. We had even received an email that morning chasing us to reconfirm our reservation to keep our space. Lovely cocktail bar! Original drinks, great vibe, fantastic music, helpful and knowledgable staff! A great little spot for drinks - great cocktails! - 18-only license might please most guests, but we got caught out when our friend’s 9 yo was not allowed to join and our friend had to leave. Quite disappointing. No info on bar’s website or Open Table, and since no-one answers the phone either during or before opening times (5-11pm) we did not get a chance to ask. The only link from Coupette’s website is to OpenTable booking page - please make age redriction clear. - reviews in The Telegraph, the nudge and in Time Out promise amazing hot food yet the food ordering date mostly bar snacks and cheese and charcuterie platters. Nice as they are, you’ll need a few to make it a drinks and (expensive) food affair. - my “dry with olive” martini came with one tiny tinned olive. For a £10 martini I would use fat juicy bar olives or put three on skewer. Good selection of drinks, great cocktails. Guests drinking mostly cocktails and wine - good sign for a cocktail bar! Order taken at the table, tap water and popcorn tirelessly refilled by polite and knowledgeable staff. The soundtrack of 80-early 90s hip hop and remixes is brilliant. It is possibly a bit on the loud side for the mostly couple and small group clientele. Quirky stripped back decor, a bit under-lit, possibly to create a slightly prohibition-y look. All in all, in an area with no other obvious bar choices and too many pubs, you could do a lot worse for a sophisticated yet laidback a drink or three! Even though I had booked on here I arrived to be told they weren’t opening that night as they had a private party, I explained I’d booked that afternoon and got a “sorry, we’re closed” no suggestion of anywhere else, just the door closed on me. I walked past an hour later having had to find somewhere random to meet up with my friend to see the same guy sat in there and no customers so I wasn’t exactly impressed that he hadn’t offered for us to come in for the hour we had to fill in the area. All the drinks were great - creative yet simple and extremely tasty. They were clearly understaffed for the amount of people in there but didn’t seem to affect the quality of the drinks and the two waitresses were still attentive and considerate, while being rushed off their feet. Such a cool bar! Really great atmosphere with amazing tunes..highly recommend for a date or get together with a few friends. 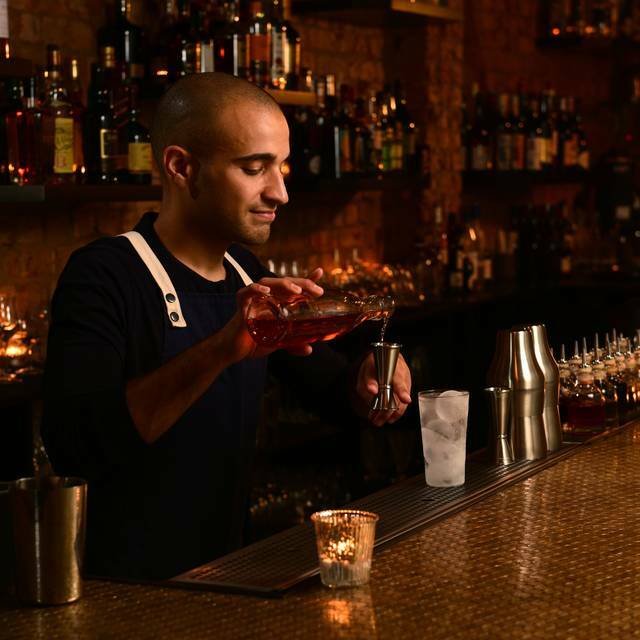 Well deserved of The World’s 50 Best Bars designation, highly recommended for those who appreciate a well crafted cocktail that pays special attention to the details. There’s print on the wall says, “I f—ing love this place.” Enough said. Very stylish cocktail bar. The drinks taste just as amazing as they sound on the menu. Amazing atmosphere, gorgeous cocktails, no food menu. Bar / table snacks were also delicious, but the online menu promised a French menu for a meal. If you want cocktails and snacks, it is awesome. I hope they update their website. unique cocktails, super friendly staff ! good for a night out with your friends when you need good vibes and drinks to update each others! There is no food being served here. Excellent cocktails and good small dishes. Very helpful and friendly staff. Very nice little bar with great cocktails and excellent service. French themed with fitting music and classy lighting, great for a night out with girl friends or a hot date.